The passion of Drive for a Better Life that Wuling has been carrying out since the first time it was present in the Indonesian automotive scene was realized by the models of its cars which became a new choice for the Indonesian people which have various tastes and every innovation that was presented through the latest products, including Almaz. Until now, the latest SUV output from Wuling Indonesia is still warmly discussed among SUV lovers. 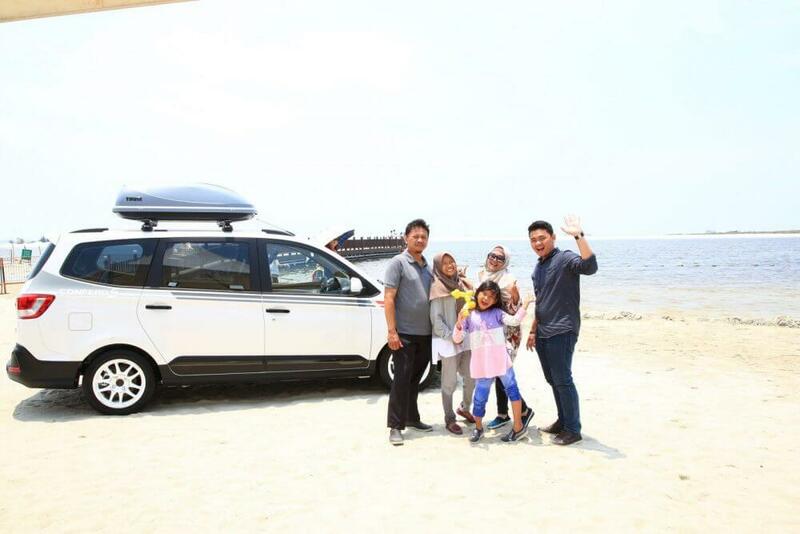 Many are guessing how good and powerful this fourth product and the first Wuling Motors SUV in Indonesia, considering Almaz offers classy features at an affordable price. This is the reason why Almaz carries the Drive Unlimited Way tagline. Has it ever crossed your mind what meaning or why Drive Unlimited Way? What is Drive Unlimited Way? The meaning behind Almaz’s Drive Unlimited Way tagline is Almaz’s commitment to support you in navigating every field and accompanying adventure without worrying, because Almaz presents technology with the best features in its class. You will feel how sophisticated and classy the latest series from Wuling, so you will be presented with the best driving sensation and can continue to drive without limits. What makes you keep going without limits with Almaz? This is not just a tagline, because the Drive Unlimited Way in Almaz is represented by a machine attached to the body of the car. The newest wuling is reinforced with a 4 cylinder gasoline engine in line with the capacity of the 1.500cc turbo charged output by Honeywell which is 140 HP with 250 Nm of torque which is the highest torque in its class. The performance is distributed to the front wheels through the CVT from Bosch which results in a smooth and responsive transmission with an 8-speed manual option. In addition, there are also two driving modes, Eco (E), and Sport (S). Almaz also has a ground clearance of around 205 mm which is able to secure the distance between the car and the road surface, especially on the road that is not too neat and has lots of rocks. With these various supports, Almaz will be able to travel to various trips.